Let’s start with the big one; Best Picture. This year’s battle for the honour of Best Picture is the most exciting, diverse and unpredictable in years. In contrast to last year’s distinctly lacklustre nominees like Hidden Figures, Hacksaw Ridge and Fences, 2018 offers a vibrant selection of films pulling in fantasy, drama, spectacle and horror. Despite containing the Oscar laden Troika of Tom Hanks, Meryl Streep and Steven Spielberg, The Post is comfortably the worst of all the nominees. Drab, pedestrian and unconvincing in the extreme, The Post’s star names have unfairly granted it a nomination over the likes of Blade Runner 2049 and The Florida Project. Call Me By Your Name’s sun-soaked Italian love story never truly convinces and its moments of genuine beauty are too often cloaked in portentous posturing to resonate. Darkest Hour is an excellent historical biopic anchored by a tremendous performance from Gary Oldman’s Churchill and stuffed with director Joe Wright’s visual flair. Nevertheless, it remains a routine historical biopic that, despite being a genre often favoured by the Oscars, lacks the timeless nature worthy of a Best Picture. Dunkirk and Lady Bird both deserve serious contention in their own completely contradictory ways. Nolan’s Dunkirk was a blockbuster of incomparable spectacle and scale reminiscent of David Lean’s great epics, while Greta Gerwig’s Lady Bird offered an authentic and fresh perspective on the classic coming-of-age tale. Both films have a strong claim to Best Picture, which is more than can be said for Get Out. Jordan Peele’s subversive horror is a hugely enjoyable film, but its influence and cultural relevance far outweighs its actual merits as a piece of cinema. 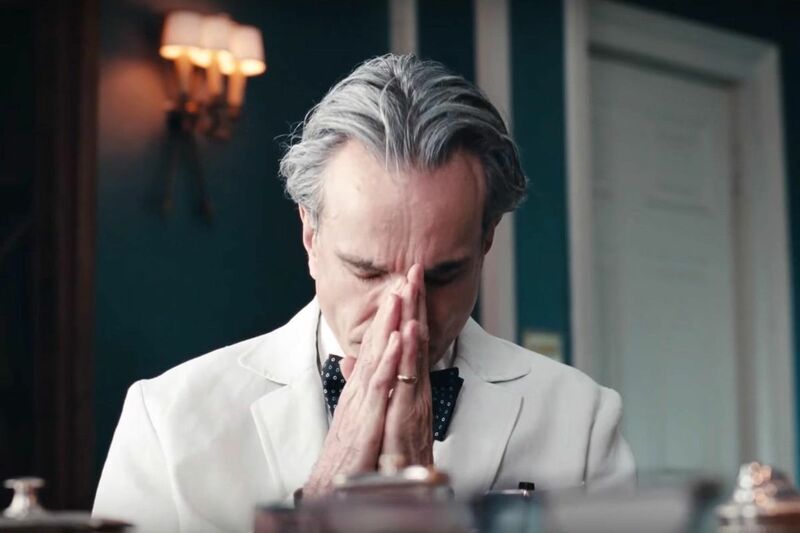 For me, Phantom Thread is the standout nominee, a perfect patchwork of direction, cinematography, writing, acting and score that is unmatched. Unfortunately, Paul Thomas Anderson’s film has been overlooked entirely during the award season with only Daniel Day-Lewis’s impending retirement garnering any notable attention. That leaves the two outstanding favourites, Del Toro’s The Shape of Water and Martin McDonagh’s Three Billboards Outside Ebbing, Missouri. Three Billboards has been a juggernaut this award season with BAFTA and Golden Globe wins across all categories, triumphantly elevating the film to Oscar favourite. 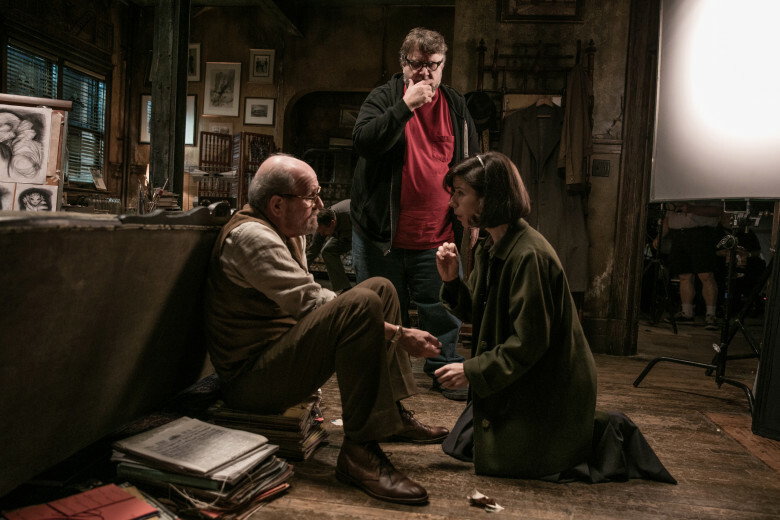 In contrast Del Toro’s aquatic fairy-tale The Shape of Water has remained submerged from the spotlight, quietly building momentum heading towards Sunday night. Despite some excellent performances, Three Billboards is let down by an illogical narrative too keen to shock at the expense of a rounded, honest storytelling, which leaves The Shape of Water as my forerunner for Best Picture. Perhaps most importantly, The Shape of Water embodies that intangible ‘magic of cinema’ aura that so often propels a film to Oscar glory. The maths has been run and the computer predicts The Shape of Water will rise to the top and sink the hopes of Three Billboards. While seemingly a two-horse race, the relentless championing of Get Out in many corners of the internet, along with the current political climate, may just see it spring a surprise upset against all odds. As much as I’d love Phantom Thread to ghost into a much-deserved win, I believe The Shape of Water will triumph on the night. Del Toro must be the favourite following Best Director wins with the Golden Globes, BAFTA and Critic’s Choice. The Shape of Water is certainly a visionary piece of filmmaking that sparkles with inspiration at every opportunity, building a fantastic world brimming with magic. In terms of competition, Lady Bird’s greatest strength is its screenplay rather than its direction, while Get Out lacks the nuance and consistency necessary to propel Peele. Rather bafflingly, Paul Thomas Anderson has somehow managed to avoid winning an Academy Award. Phantom Thread offers a timely instance to correct this oversight and recognise PTA as one of America’s greatest living auteurs. For all Phantom Thread’s brilliance, I would love to see Christopher Nolan win this year’s award. Dunkirk’s brilliance lies in both Nolan’s masterful command of the cinematic language and his ability to manage logistics on an overwhelming scale. Nolan is a rare talent, one of the few current directors capable of crafting a mainstream blockbuster with the innovation and freedom of an independent arthouse production. Curiously, Three Billboards director Martin McDonagh isn’t nominated for Best Director which hints at the film’s glaring deficiencies. If Gary Oldman doesn’t win for his performance as Winston Churchill, then I’ll eat my cigar. The Oscars ruddy loves depictions of historical leaders – see previous Best Actor wins for portrayals of Lincoln, General Patton and Henry VIII amongst others – and Oldman’s superbly entertaining turn as Churchill certainly fits the bill. With his ‘retirement’ now in effect, Daniel Day-Lewis could well break his own record and take home a fourth Best Actor Oscar for another method acting masterclass. As enigmatic dress-maker Reynolds Woodcock, Day-Lewis crafts a character of astounding charisma and richness, once again reminding us that he exists on another level to his contemporaries. Daniel Kaluuya is little more than adequate in Get Out, while youngster Timothée Chalamet can be extremely proud of his tender representation of confused youth as Elio in Call Me By Your Name. Frankly, I haven’t a clue about Roman J. Israel, Esq. or Denzel Washington’s titular performance which in itself tells you everything you need to know about his chances this year. Take out Meryl Streep, who catatonically auto-pilots her way through The Post, and you’ve got yourself one hell of a battle royal for Best Actress. Frances McDormand is the runaway favourite after Best Actress wins from both the Golden Globes and BAFTA, and she would be a deserved winner at the Oscars. McDormand’s angry, grieving and vengeful mother Mildred Hayes is Three Billboards’ greatest asset and she almost single-handedly saves McDonagh’s erratic, errant script. The unconventional Sally Hawkins channels the best of silent comics such as Chaplin, Keaton and Lloyd to imbue her mute performance in The Shape of Water with an abundance of pathos and charm. At the other end of the scale Margot Robbie and Saoirse Ronan play bullish girls battling with overbearing mothers. Ronan especially is a joy to watch as she thrives off Gerwig’s fast-paced direction to embody the complexities of those awkward, confusing high-school years. For my money, Ronan is this year’s standout star and hopefully she can win on her third nomination. In terms of snubs, Vicky Krieps can count herself extremely unlucky to miss out for her performance as Alma in Phantom Thread where she more than matches her imposing peers Day-Lewis and Manville, while both Brooklynn Prince and Bria Vinaite would have fully deserved a nomination for The Florida Project. Best Supporting Actor seems to be a battle between Three Billboards with Sam Rockwell’s racist cop in search of redemption pitted against Woody Harrelson’s not-so-racist cop in search of justice. Rockwell looks the hyperactive forerunner, but I’d rate Harrelson’s grounded performance as the one worthier of plaudits. While Three Billboards may hold the pack, veteran Willem Dafoe could be the wildcard gamble. Dafoe is known for playing the mad and the manic, but for Sean Baker’s social-realist drama The Florida Project he excelled in the deceptively tricky role of an everyday handyman trying to keep order in the rundown apartments. The Florida Project is ostensibly a film about life through the eyes of children, but it is Dafoe who anchors the narrative without any fanfare, just pure down-to-earth excellence. Elsewhere, Richard Jenkins gives a memorable turn as the neurotic neighbour in The Shape of Water while octogenarian Christopher Plummer seamlessly embodied the greedy guile of Jean Paul Getty in All the Money in the World after Kevin Spacey’s last minute dismissal. While an already strong category, I would have loved to have seen some recognition for Ben Mendelson’s powerfully restrained portrayal of King George in Darkest Hour as well as a nod for the menacing Michael Shannon and his villainous terror in The Shape of Water. 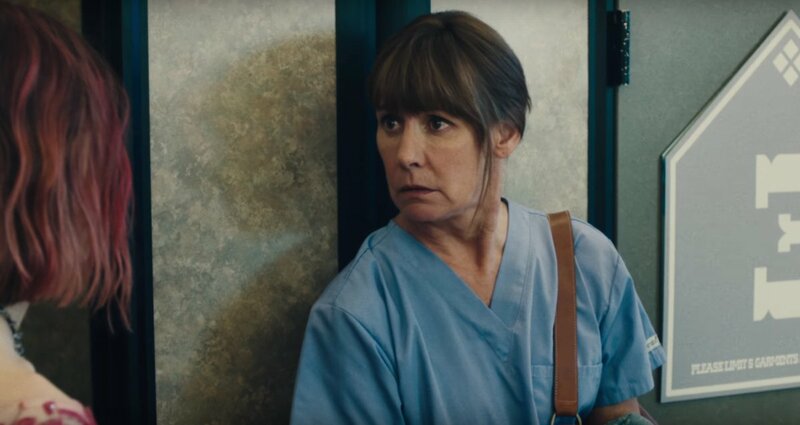 Best Supporting Actress may well be the most open category at this year’s awards with no clear favourite, however domineering mothers Allison Janney and Laurie Metcalf, in I, Tonya and Lady Bird respectively, are the two to look out for. While both give towering displays, it is Metcalf who dazzles brightest. Metcalf’s overworked mother striving to do right by her family is the perfect foil to Ronan’s defiant teenager, and together the chemistry is electric. Lady Bird may well be a coming-of-age tale, but it is Metcalf and prominence of her unwinnable role as the realistic mother that elevates it to something far more poignant. Lesley Manville may be unlikely winner, but her icy cool display as Woodcock’s matriarchal sister, Cyril, is masterful. Elsewhere, Mary J. Blige gave a solid debut performance in Mudbound, but, much like the film itself, there was little that left a lasting impression. Much like co-star Richard Jenkins, Octavia Spencer delivers a polished if unspectacular and cartoonish performance in The Shape of Water. Mum’s the word this year and it could go either way for Janney and Metcalf. 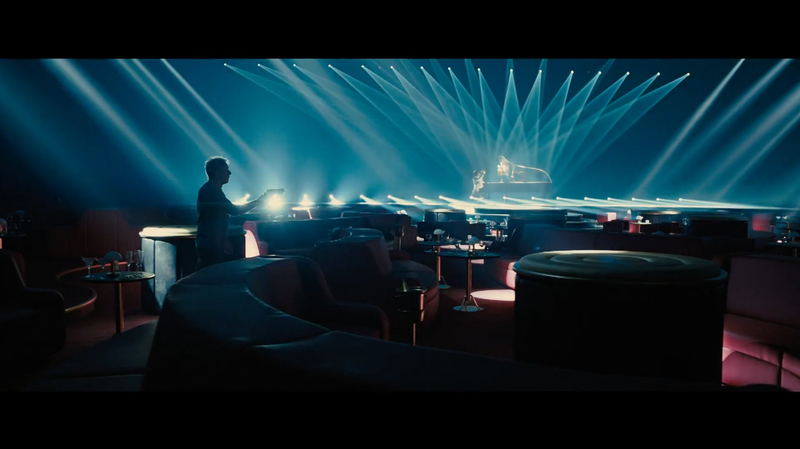 Poor Roger Deakins has been nominated fourteen times without winning an Oscar for cinematography, however with Blade Runner 2049 this could, and should, all change. Deakins’ work on Denis Villeneuve’s sequel to Blade Runner is breath-taking, mesmerising and just about worthy of every superlative offered by the dictionary. The greatest compliment for 2049 is that at times it genuinely feels as if you’ve departed this world and stepped into another, one so real you can visualise through every door, down every alley and beyond every compact tenement building. This level of immersion is all thanks to the genius of Deakins. Stern competition faces Deakins in the form of Hoyte van Hoytema’s grainy, historically evocative work on the spectacular Dunkirk and Dan Laustsen’s enchanted implementation of Del Toro’s aquatic fairy-tale The Shape of Water. In contrast to these three outstanding talents, Delbonnel and Morrison’s (the first-ever nomination for a woman in the history of this category) decent, if unspectacular, efforts look severely lacking. 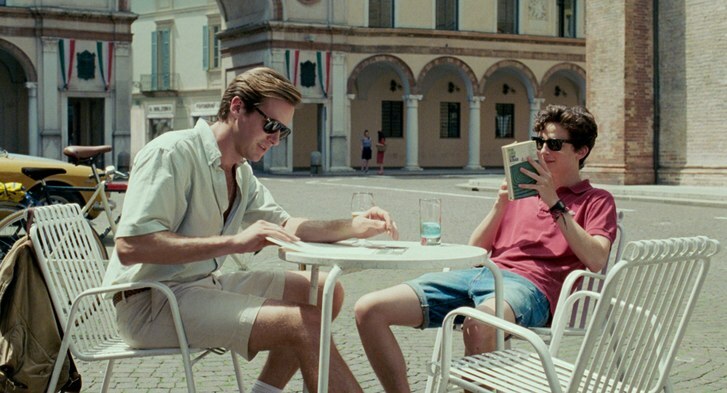 James Ivory’s screenplay for Luca Guadagnino’s Call Me By Your Name is the safe bet with a slew of Adapted Screenplay wins in the build-up to these Oscars. Logan’s surprisingly raw and poignant script has given Marvel a renewed credibility, but an Oscar seems rather ambition. Aaron Sorkin’s renowned screenplay pedigree gives his nomination for directorial debut Molly’s Game an edge over his rivals, yet the film’s total lack of exposure or championing leaves its chances looking slim. Mudbound is something of a media darling, however I personally found the whole production derivative and lacking in imagination. The Disaster Artist was an absolute hoot, but I do nawwwt see it winning despite being some story (Mark). Without a directing nomination, McDonagh should reign supreme in the screenplay department with Three Billboards despite the fact its script is riddled with holes and cheap laughs. For all their excellence, Get Out and The Shape of Water are both primarily visual achievements rather than linguistic ones. The Big Sick was one of 2017’s biggest surprise success, however the invigorating rom-com is a clear outsider. If there is any justice, and so rarely there is, Greta Gerwig’s brilliant screenplay for Lady Bird will win. Gerwig’s intimate, earnest words are the driving force behind Lady Bird’s appeal and success. 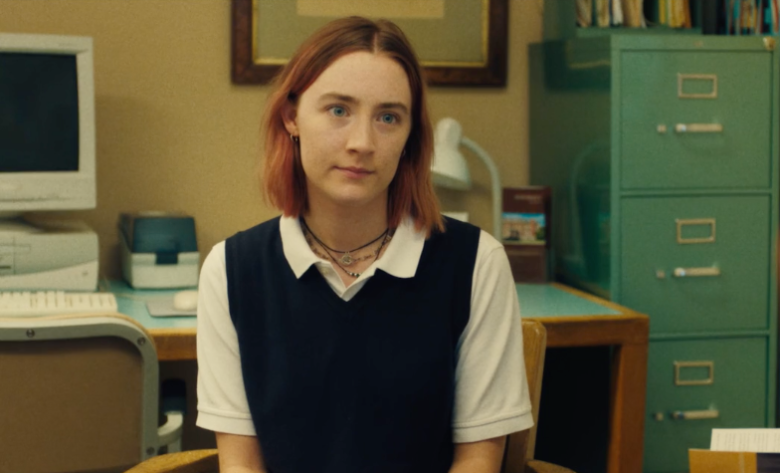 After outstanding screenplays capturing the alienation and confusion of adolescence with Mistress America and Frances Ha!, Lady Bird should be Gerwig’s crowning achievement…so far. Original Score could go one of three ways this year. Composing machine Hans Zimmer delivered a behemoth of a score for Dunkirk that matched Nolan’s ambitious visuals, while subtly infusing classical compositions and a tense, ticking undercurrent to proceedings. 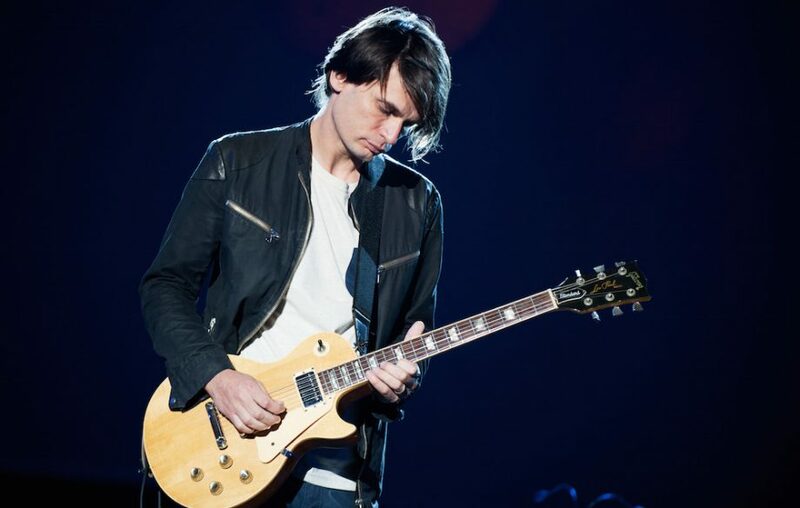 Desplat’s dreamy, romantic scores perfectly matched the fairy-tale imagery of The Shape of Water, while Radiohead’s Johnny Greenwood’s breezy score for Phantom Thread was an integral element of its high-minded splendour. I think it’s fair to say John Williams has had his go already with 51 nominations and five wins under his belt, including Star Wars back in 1977. Three Billboards’ score fails to spring to mind, discounting its chances quite comfortably. Flip a coin on this one as I see a dead heat between Zimmer and Greenwood. Once again it is hard to look past Dunkirk in the sound editing and mixing department. Nolan’s war epic was one of loudest films I’ve ever heard in the cinema. The deafening noise as the German dive-bomber tormented the British troops truly brought Dunkirk’s evacuation steaming headlong into the auditorium. 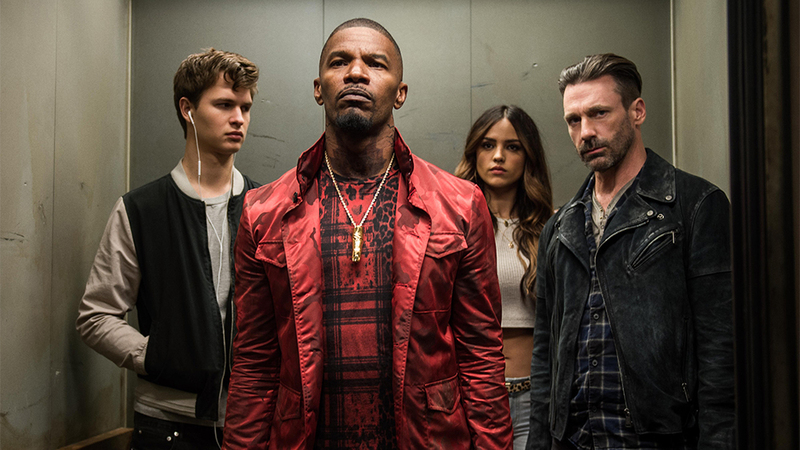 The musical medley that was Edgar Wright’s Baby Driver could spring a surprise victory as its shuffling pop jukebox was the rhythm track driving narrative, editing and action throughout. In a similar vein to sound mixing/editing, Dunkirk should rightfully win as vital to its appeal was the careful splicing and editing of its three interwoven, overlapping time-specific narratives. Once again, Baby Driver and its musically driven editing could easily score an Oscar for its playful trickery. The Academy tends to plump for period pieces when assessing Costume Design which points towards Phantom Thread as the most likely winner. 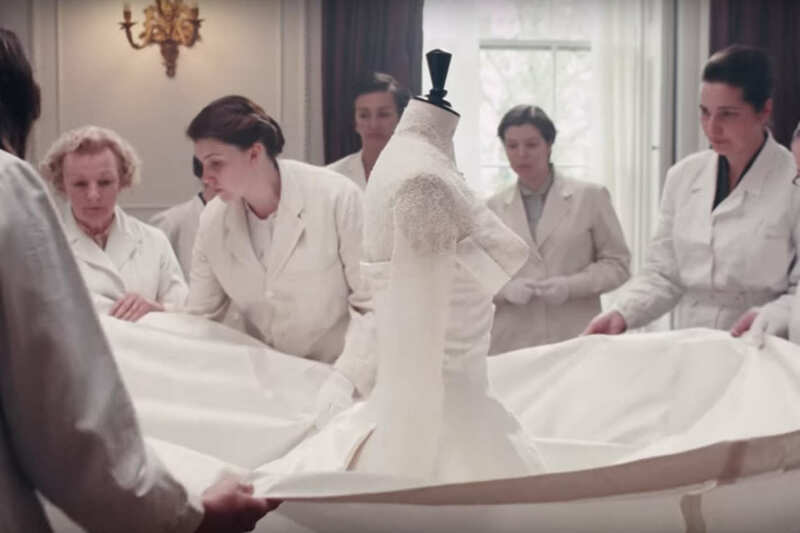 Considering the focal point of Phantom Thread was its lavish dresses and gowns crafted with meticulous detail by couturier Reynolds Woodcock, (Day-Lewis, in full method mode, actually remade a Balenciaga sheath dress from scratch in preparation) it would be rather conspicuous to see it lose out here. Nevertheless, don’t discount The Shape of Water or Darkest Hour from mounting a challenge with their own period pieces from the 1960s and 1940s respectively. 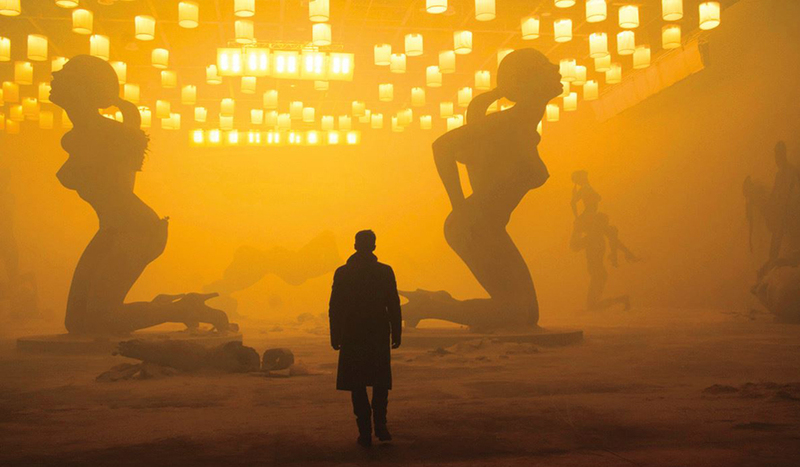 Blade Runner 2049’s sumptuous graphic universe is firm favourite to scoop the award for Best Visual Effects, or CGI trickery. 2049 was a feast for the eyes, but its youthful regeneration of Young’s character Rachael exactly as she appeared in the original film, and its seamless overlapping of digital, android and human for its love scene were moments of pure cinematic witchcraft. 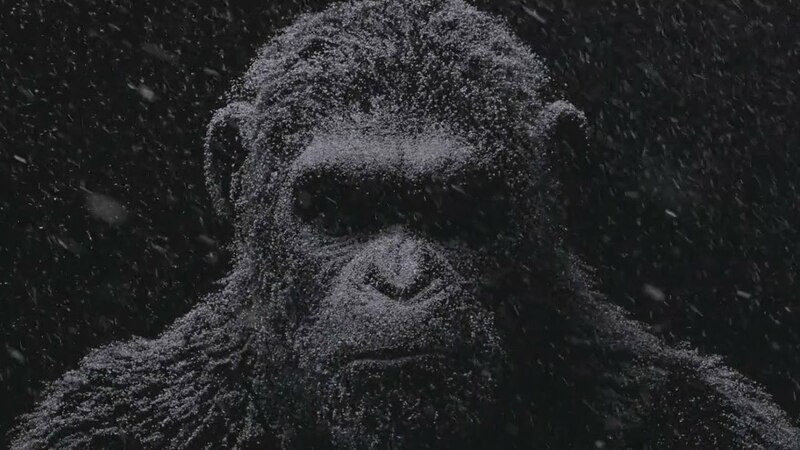 Its closest competitor is War for the Planet of the Apes which continues to deliver a brave new world for CGI characters via Andy Serkis’ precisely motion-captured performance as Caesar. Surely it won’t be long before we’re seeing Best Actor or Actress nominees for entirely CGI characters…that’s a whole new dystopian film! At last the end is near with my final prediction of the year for Production Design. The award seems to be a battle between The Shape of Water’s water-logged wonderworld and Blade Runner 2049’s retro-futuristic dystopia. Momentum lies with The Shape of Water following Production Design wins with BAFTA and the Critic’s Choice meaning the Oscar is likely to be sleeping with the fishes. 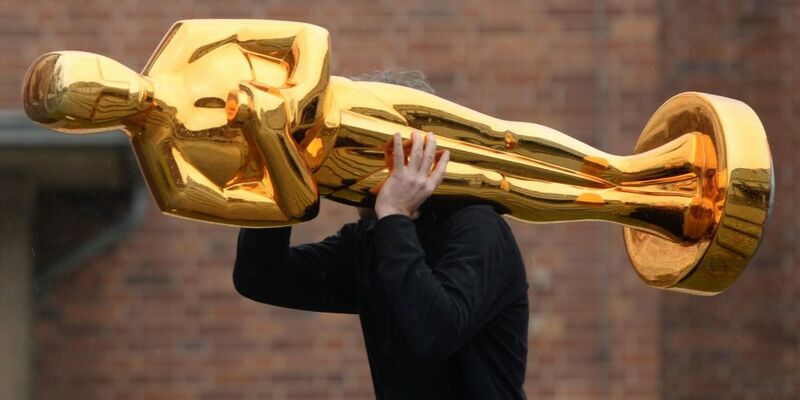 If you’re feeling brave, or are snowed in, then you can catch the whole Oscar ceremony live in the UK on Sky’s Oscar channel from 1.30am Monday Morning.